truck driving placement agency | Platinum Drivers Inc. The American job market still hasn’t risen fully from the recession and struggle the economy experienced a few years back. Luckily, there are still some career paths where worker demand is extremely high. One such job is that of truck driving. 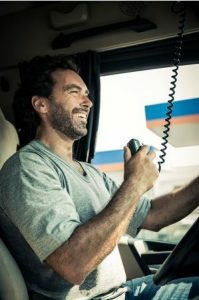 Truck driving offers great pay, benefits and security of a lifelong career. Carrier trucks and trucks that pull tractors are a necessity to our economy and the job outlook looks continues to look promising. In the state of Alabama specifically, out of 41,000 online ads 3,600 were for truck drivers. This is very appealing to those seeking out a career change or who are in dire need of a job. The average hourly wage for a heavy or trailer pulling trick driver is $20.15. The typical schedule for a truck driver is to be on the road for several days at a time and then to have several consecutive days off. There are specific licensing requirements needed to become a truck driver. What you need is a commercial driver’s license (CDL). You will also need a high school diploma, to have completed driving skills and safety course and any other special license endorsements needed at the time of hiring. Your local department of transportation office will be able to assist you with those details. Some state’s department of labor help potential drivers with fulfilling the necessary requirements and finding a job. It is never too late to switch careers and truck driving is great for a variety of age groups, both young and old. As we see the economy change so drastically each year, it is comforting to know that truck driving is a job that is steady. With Platinum Driver, we provide CDL driver staffing service that consists of job placement for Class A and Class B drivers with our customers that have immediate openings. If you’re in search of a truck driving job, contact Platinum Drivers today.